hd00:15Domestic cat on bench in home garden licking itself and looking away. Outdoors video with shallow depth of field. 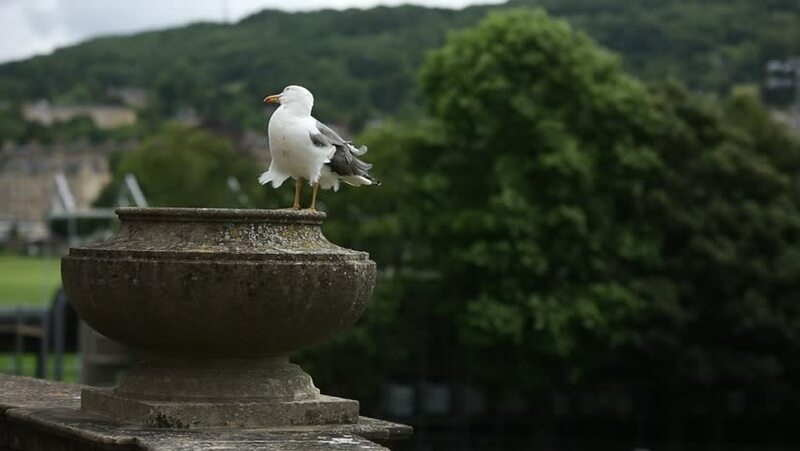 hd00:20Pigeon sitting on head of statue in a garden. hd00:43HD Video of one Black crowned night heron on a tree rock catching bugs. stand still at the water's edge and wait to ambush prey, mainly at night or early morning.